Capital Exhibits is proud to be a leading graphic design company in Northern Virginia. 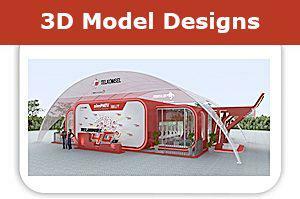 From a simple logo on a tee shirt to complete trade show booth concepts, 3D rendering modeling design, we stand out from other professional graphic design firms with amazing efficiency and affordability. It would be our pleasure to assist you in Richmond VA, Virginia Beach, Norfolk, Chesapeake or Newport News company with our graphic art design services. 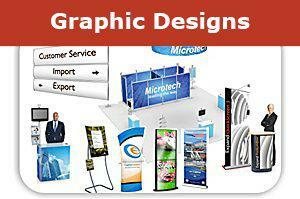 Our design services consist of banners, trade show material, business marketing, books, flyers, catalog and more. We can get your 3D rendering design ( VA )done in matter of days with the top quality and effective lighting. Our creative design team are ready to help you with your next marketing print design in VA and put your company way over the top of your competitions. Many of our clients need trade show displays, including everything from backwalls and signs to drapes and lights. We love doing trade show graphic design, 3d rendering modeling designs and creating a full package to represent your brand to the public. Our experts take the time to become familiar with you, and organize a presentation for particular events. Together, banner design artists, brochure design work and excellent print design pricing builds a display that’s ready to draw attention. As a modern 3D designers VA & graphic design studio VA, Capital Exhibits uses the most advanced technology and proven techniques. Today’s marketplace blends traditional printed materials with mobile devices to remain accessible to everyone, and we’re up to the challenge with diverse business graphic design. In fact, we encourage incorporating new technology into your displays with kiosks and monitor stands. You might already know that graphic design pricing can vary quite a bit, and may have been blown away by the costs of other top graphic design companies. Rest assured that we work hard to provide you with a fine product that doesn’t eat up your budget, and even stands the test of time. Never hesitate to ask about banner, display or logo design prices, and know that we’re dedicated to putting your vision into imagery. Get in touch with Capital Exhibits anytime to learn more about our graphic design trends and techniques, as well as prices and time frames. If you need a graphic designer in Richmond, Fairfax, Loudon, Alexandria, Tysons Corner, Virginia Beach, Norfolk, Chesapeake or Newport News, Virginia, go with the team that can do it all. We look forward to working with you!